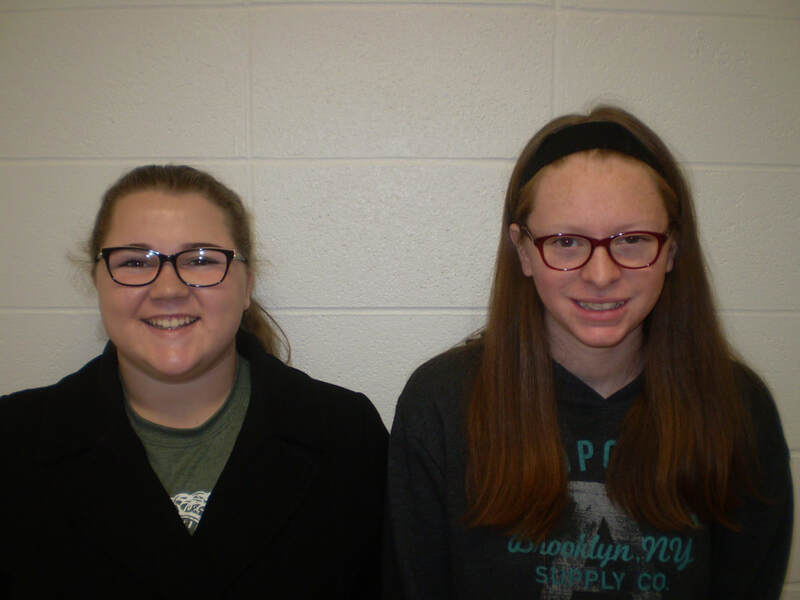 Wheaton Junior/Senior High recently named their Students of the Month for February. February’s Students of the Month were Taylynn Banks, the sophomore daughter of Bobby and Shauna Banks, and Amy Cunningham, the freshman daughter of Denise Cunningham and stepfather Jimmy Jones. Picture at right, from left to right, are: Taylynn Banks and Amy Cunningham.